represent a win/win situation for families in need as well qualifying businesses and individuals. 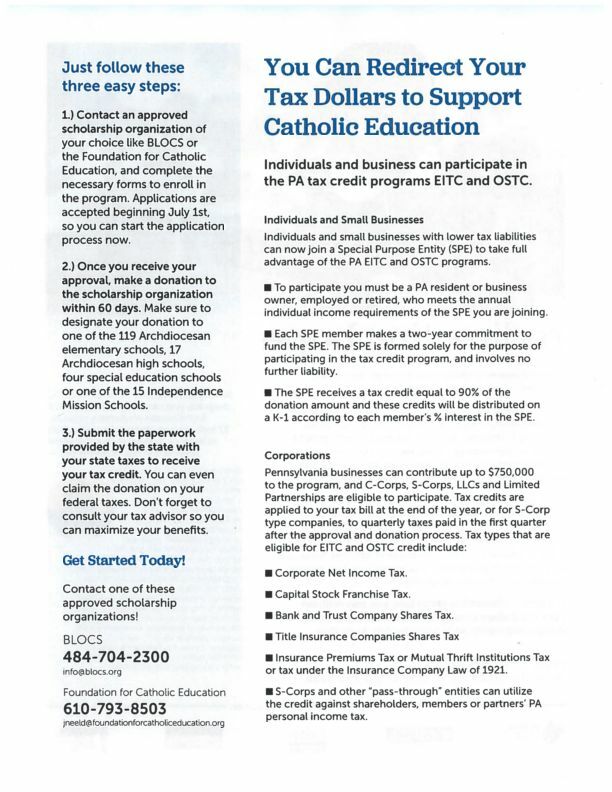 For pennies on the dollar, you can make a donation to qualifying scholarship organizations like Business Leadership Organized for Catholic Schools (BLOCS) or the Foundation for Catholic Education, designate the private school of your choice as the recipient of your generosity, receive up to a 90% credit on your state taxes,and claim a deduction on your federal taxes. All 119 parish elementary schools, 17 Archdiocesan high schools, 4 Archdiocesan Schools of Special Education, and 15 Independence Mission Schools are eligible to receive these tax credit program donations. Philadelphia is the birthplace of Catholic education in our country and our schools have provided a high quality education rooted in Gospel values for over two centuries. There are many families who want to provide their children with the lifelong benefits our schools can offer. 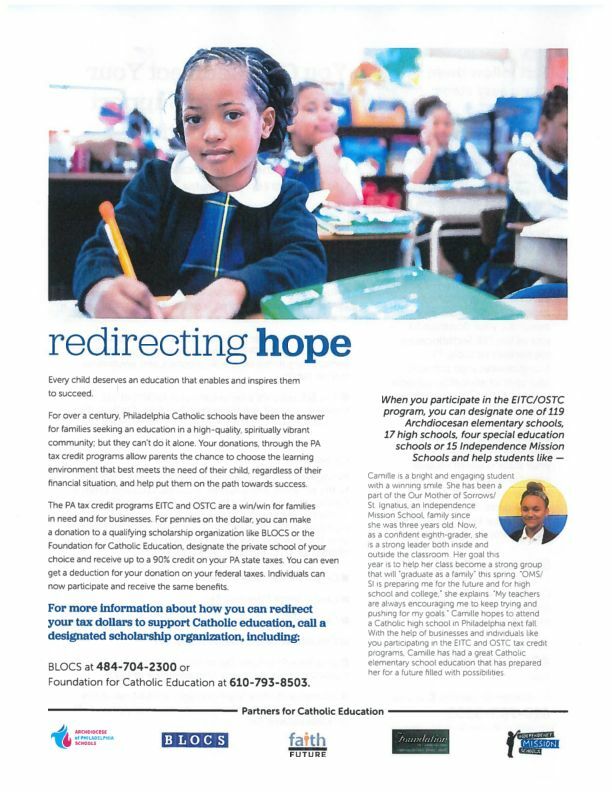 You can help them overcome financial challenges, enable them to say yes to Catholic education, and receive substantial tax benefits by participating in the EITC/OSTC programs.